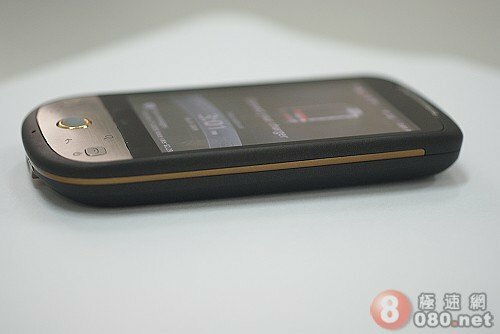 Does the Sprint HTC Hero Have A Different Design ? Now this was unexpected. Word on the street (aka 8080.net) is that the phone pictured above is actually Sprint's version of the HTC Hero. It's not that sharp edged, big chin version of the Hero we've grown to love but rather a softer, more curvacious version. The flush hardware buttons are positively slick but we're not sure if we like the two-toned front face. At least the Sprint HTC Hero looks like it'll fit better in the pocket. And for some reason, it just looks like a Sprint phone doesn't it? We're not sure which version of the HTC Hero we like better (if there are different versions) but since they both run HTC Sense and everything inside is the same, it really doesn't matter to us. If this really is the Sprint HTC Hero, we won't miss the chin one bit. What do you guys think? Which HTC Hero is best? Sprint or everyone else's. hit the jump to see the chin-less HTC Hero!